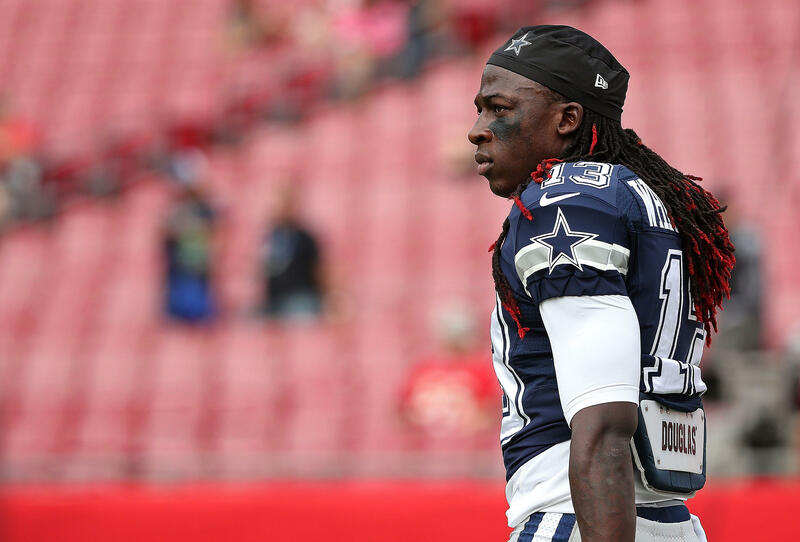 OXNARD, Calif. -- Former Dallas Cowboys receiver Lucky Whitehead's identity was falsely used in a shoplifting arrest, police in his home state of Virginia said Tuesday. Prince William County police said they were confident the man charged in a case involving $40 worth of stolen food and drink from a convenience store in June wasn't Whitehead. The Cowboys released him Monday after reports that he was arrested and subsequently cited for missing a court hearing. Whitehead's agent, Dave Rich, contended that his client wasn't in Virginia at the time of the reported arrest. Police said they are seeking the person who used the identity of Whitehead, whose given name is Rodney Darnell Whitehead Jr.
Police said the person arrested June 22 didn't have an ID but provided a name, date of birth and social security number matching Whitehead's given name. Officers checked a photo in Virginia's database of driver's licenses. "Officers acted in good faith that, at the time, the man in custody was the same man matching the information provided," Sgt. Jonathan Perok said. "The police department is currently seeking the identity of the man involved in the incident." The release of Whitehead came on the first day of training camp after a tumultuous offseason for the Cowboys, including the arrests of two defensive players. Executive vice president of personnel Stephen Jones and coach Jason Garrett said Whitehead's release was an accumulation of events, although Garrett acknowledged Monday that the decision came after the club did more work gathering information. News of the arrest broke while the team was on the field for its first morning walkthrough. Whitehead was escorted off the field by a member of the public relations staff, and Garrett said he was unaware of the arrest before being told as he left the practice field. Whitehead was released before the afternoon workout, with Rich claiming that either police had wrong information in the arrest report or that somebody had used his client's identity. The saga came about a week after Whitehead claimed on Twitter that someone had taken his dog and was holding it for ransom. He later tweeted that the dog had been returned safely. During his second season in 2016, Whitehead was left at home for a December game at the New York Giants after missing a Saturday walkthrough. He also was involved in a car accident that Garrett found out about through media reports.